a.k.a my deck railing and a C-clamp. 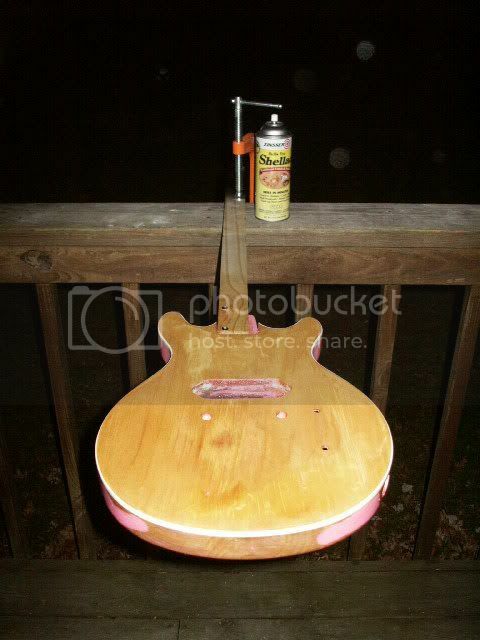 That's the Daisy Rock "Project Timmy GT" getting some Zinnser shellac as a sanding sealer. More on that later.